This is my favourite time of the year for the city. People have deluded themselves into forgetting the annual eight months of winter in the bright blissful Prairie heat of July. 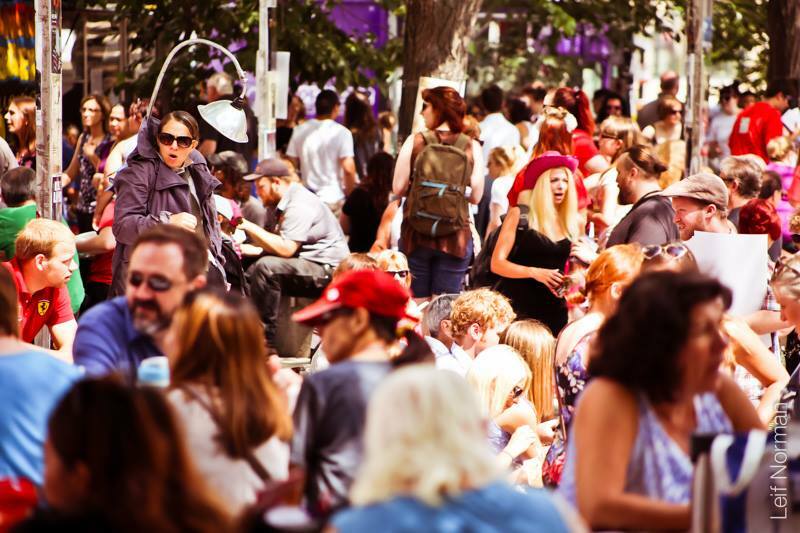 It’s sunny and verdant and vibrant everywhere, and in the city’s core the streets fill up with tents and buskers, food carts and performances. Downtown is at its best right now, because the Winnipeg Fringe Theatre festival is on. 180 performances in 12 days at 32 different venues… it makes for a colourful, active, and entertaining vibe all over the city, but shines brightest in the three square kilometers surrounding Portage and Main. I’ll be spending a significant chunk of my free time taking in Fringe shows (I have 13 scheduled… the first, Burning Hearts, in less than two hours), and I think I’ve targeted a good cross-section of genres to explore this year. The one I’m most looking forward to? How to Talk to Human Beings (watch the epic and informative trailer). I’ll be posting updates/reviews if I feel like it. P.S. If you’re curious, my second-most favourite time for the city is the second week of February. JT got a smartphone last week. His first. For the last seven years he’s been using one of those old brick phones (it slides!) 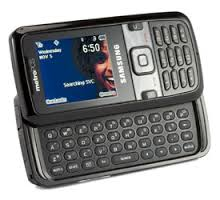 — specifically the Samsung Messager (SCH-r450), seen below. “The Brick,” as we affectionately called it, was a source of pride and conversation for JT and a source of amusement for me. I loved to watch people’s faces when they noticed it — especially in the last two to three years. It was a good phone, and my husband – so practical, so… economical – found it hard to justify replacing it. I actually agreed with him. The Brick was hardy. You could chuck it full-force against a wall and it would still be pristine. It had a battery life of at least a week on a full charge (even in year seven). It had a full keyboard for texting. It received and made calls. He has an iPod for music, and who needs the internet, anyway? Data is expensive and besides, as he pointed out, everyone around him has a smartphone if he has a webmergency (read: if he needs to check his fantasy football). But last week he took the plunge and got an iPhone 5S, and something unexpected happened. I learned that we communicate very differently. I’m going to be real with you, folks. I’m in communications so I have an obligatory Instagram account, but anyone who follows me will know that it’s not my favourite medium. My nine photos will back that up. Pictures are powerful and impactful (let’s exclude selfies here), but I like words. Twitter is my platform of choice. Apparently JT is an entirely different beast. Now that he has a camera better than 1mp on his phone, an extraordinary number of his texts have been photos. I don’t think he’d ever commit to Twitter, but Instagram is probably right up his alley. Hell, he even makes me understand why Snapchat is appealing to people. I suppose my point is, technology allows us to tell the stories of our daily lives in new, innovative ways that not even we could have predicted would be appealing to us. Massive creative freedom.